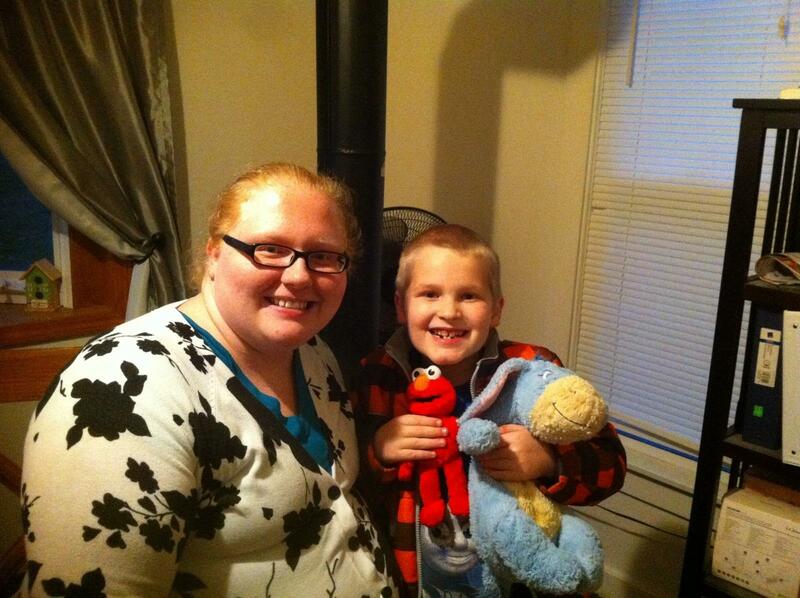 Kayle Roose and her son Aiden. She says Aiden's experience in school is improving. Meet Kaylee Roose and hear her family's story. With all those laws it seems like there should not be a lot of difference between school districts in the types of services available to kids with disabilities, or in their education outcomes. But in fact things like graduation rates, suspension rates and just general academic achievement for kids with disabilities vary wildly between school districts around the state. For example, these laws didn’t help Kayle Roose much when she needed it. She has a 7 year old son with a disability called “emotional impairment,” it’s a category for kids with mental illness. Roose says her son was suspended 19 times, in kindergarten. The school district can’t verify this because of federal privacy laws. His special education status should have protected him from missing school this much. At the time, Roose didn’t know about the law, her son’s rights or just what she should expect. Since then, with the help of one of her son’s counselors from a social service agency, she’s become more of an advocate for him. But she still worries he’ll continue to have to deal with what went on in kindergarten. Many parents are not at odds with their children’s schools, and there are, of course, plenty of dedicated aides, teachers, support staff and administrators working their hardest to provide the best education they can to every student. But Michigan’s education outcomes are not very good for kids with disabilities. For example, across the state, the graduation rate for these kids is 54%. Disability rights lawyer Mark McWilliams jokes that his advice might be skewed, because “we only deal with problems.” McWilliams works at Michigan’s Protection and Advocacy Service, a free resource for people with disabilities. His advice can be useful even to families perfectly happy with their special education services. All parents of kids with disabilities have a lot to know and navigate when it comes to education. Infowire has put together tips and advice from parents, special education officials and advocates on how best to get the services you think your child needs. That piece of advice comes from Kayle Roose. She says it was hard to push back against school decisions she didn’t agree with. But as she has become more comfortable advocating for her child, she says her relationship with her son’s district has improved. This “trust yourself” advice was echoed by every person interviewed for this Infowire. Dawn Bentley is the Special Education Director in Livingston County. She says, “Parents are their children’s first teachers,” and they should approach working with a school feeling confident they have a lot to add. That piece of advice is from a blog post by Karen Wang, the parent of a 13 year old with autism. It might sound like she’s telling folks to quit their jobs in order to be better advocates for their kids. But what Wang means by the “professional parent” thing is that parents should treat professionals working with their children like they would treat their own co-workers, or other people they respect. Wang also tells parents to pick their battles, and says threats are often unhelpful. It’s likely these relationships are going to last a long time, so Wang also says it helps to be constructive with criticism, not emotional. Dawn Bentley says in her experience it’s natural for parents of kids in special education to feel outmatched or defensive when working with schools, especially in IEP meetings. She recommends calling an advocate at the Michigan Alliance for Families or The ARC for some advice before the meeting. In some cases, an advocate may even be willing to go with you to an IEP meeting. The advocates at these organizations are used to working with schools and parents to come up with a plan both can live with. Bentley says for many parents, just talking with an advocate before big meetings makes them feel more confident and makes meetings more productive. It’s easier to feel confident when you know what you’re talking about. Lawyer Mark McWilliams says parents should be informed about their children’s rights. You can call one of the specialists at his office, Michigan’s Protection and Advocacy Service, with a question. He says it’s always free and you’ll always talk to a live person, or get a call back. Every parent interviewed for this Infowire had a story about a champion that either helped them through a rough spot or just treated them or their child with kindness and respect. Most of these parents found these people within the schools. Mark McWilliams says even in the best situations there’s “a lot of conflict in this field. It’s just the nature of the beast.” One way to minimize conflict and get results for your child, McWilliams says, is to “connect without a problem,” or talk to a teacher, an aid, or a specialist who has been successful with your child. He says you can ask these people to document what they’re doing that’s working well, so you can have it for future teachers. You can also ask their opinion on who else in the school system they think will work well with your child. Some districts regularly include students in their IEP meetings, and in other meetings about services or education goals. Dawn Bentley says parents should ask if their children can be included in meetings, at least for part of it. Hearing directly from a student what they struggle with or what their goals are can be very powerful, says Bentley, and can help to motivate the whole team toward these common goals. Few teachers would dismiss a student directly asking for help, “You’d be in the wrong profession,” says Bentley. Karen Wang and her son, when he was younger. Karen Wang says she learned so much about what services and which kind of an environment would work for her son from other parents, and also from adults who had the same challenges as her son and had learned from their experience. There are plenty of places parents can connect online or in person. Switching school districts to find services for a child isn’t always easy, or even an option. Kayle Roose tried to make a move, all the way to San Diego, California, but the expense proved more than she could handle. She has regrets, because she loved the services her son had available to him in his school there, and he says he loved it too. Karen Wang has lived in three different school districts just to find services for her son she’s happy with and a school culture where he feels respected and at home. Listen to Karen Wang's story and the role of school culture in the education of kids with disabilities. There is so much variation in the services available to children with disabilities and their educational outcomes around the state it makes sense to know how your district stacks up. There’s data here about how districts stack up on special education demographics provided by Bridge Magazine. The state also has lots of data on how districts perform with respect to kids with disabilities, although it’s not as easy to navigate. You've heard about the achievement gap-what about the discipline gap? A few recent recent stories made me wonder how much a health or special education diagnosis can impact a kids achievement in school.